Hello boys and girls! Is your life feeling a bit...muted these days? Are even the neon creams that are showing up ahead of summer doing nothing to blow up your skirts? If you answered yes (or no. 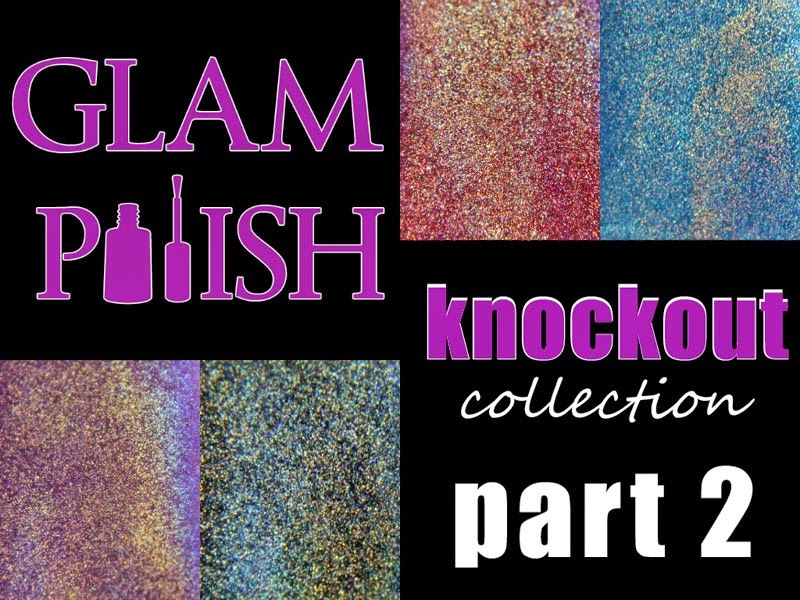 trust me) then I think I have found the answer in four particular shades from part two of the Glam Polish Knockout Collection. Smash! is an ultra holo cherry red. 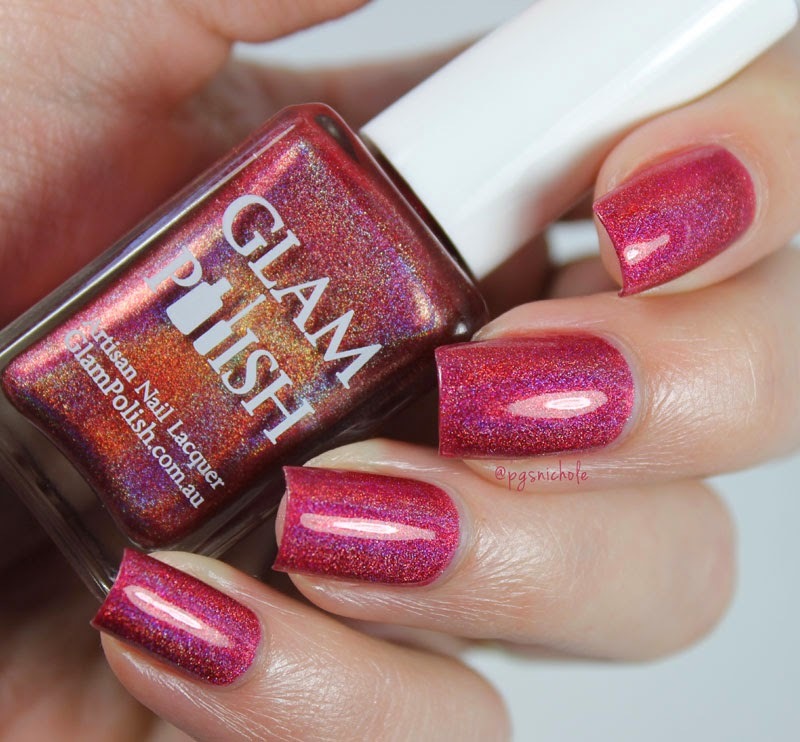 If a pin-up red and a fireworks stand had a lovechild, it would be this polish. Two smooth coats finished off with the Glam Polish Magic Shine Top Coat (which they also sent me, more on that in a bit) left me with a glossy, squishy manicure that I could not stop staring at. In the sun, it explodes with rainbows. I wish I could paint my house with this stuff...but I think I am too close to the airport. I could wax poetic about this shade for hours, filling volumes with terrible haikus. But I wont. Tl;dr it is awesome. Whoosh! is a delicate springy lavender/iris purple holobomb. 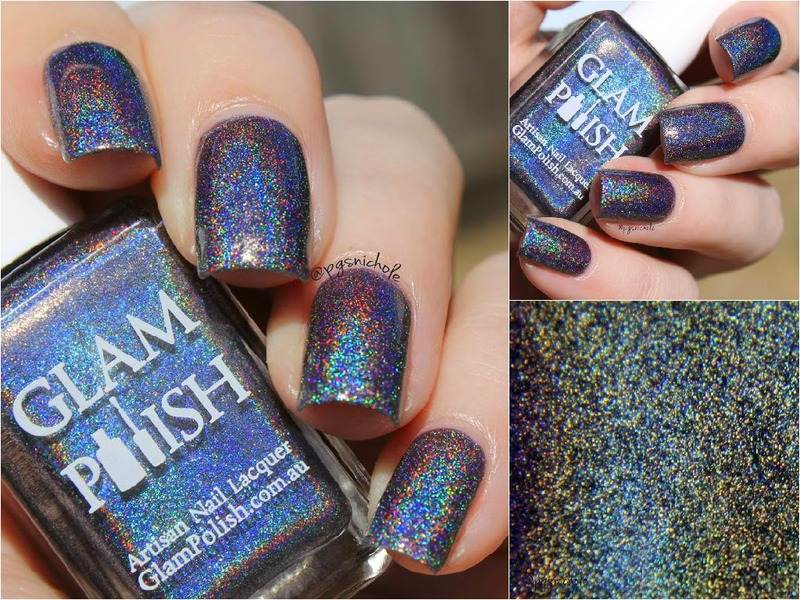 Just like Smash!, this is ultra holo. But where Smash! is all sound and fury, Whoosh! is feminine and refined...indoors. In the sunshine, two coats shoot rainbows in all directions. I find this to be almost neutral and a very clean "everyday" sort of color. I think this color should be in every collection. 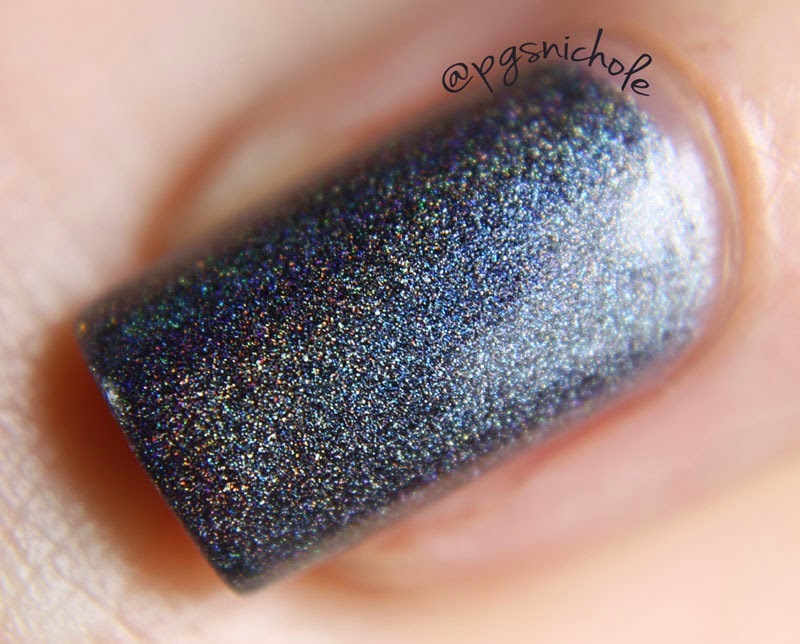 If you love holos but need something a little more tasteful at the same time, this one is for you. Thwaack! is that most illusive of colors: a true inky black holo. 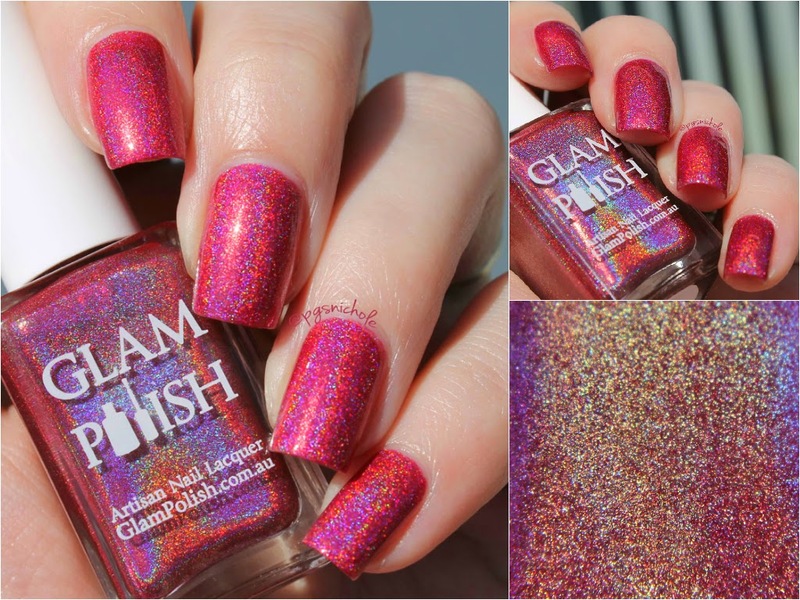 It is easy to apply and fabulously ultra holo in the sunshine. 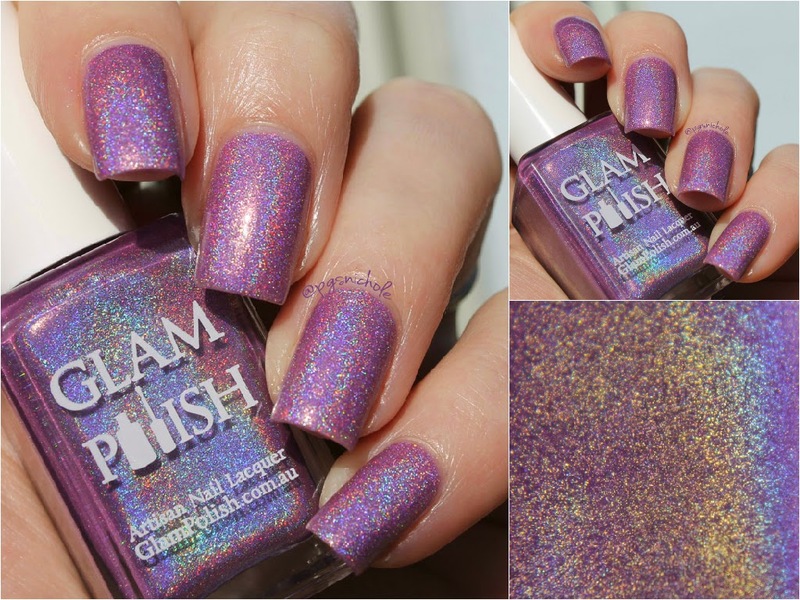 It has so much holo that it is even faintly visible indoors. I love colors like this, because black is my comfort color. Whenever I am feeling like I need a little steel in my spine, I always reach for black. This shade is definitely going to see some use. In the sun, the bright rainbow sends the black into the ink-filled end of the pool. I love how blue-black it looks, and it definitely caught people's attention. I think three people commented on it in the 24 hours I was wearing it...which is a lot if you consider I don't leave the house much. Zoom! 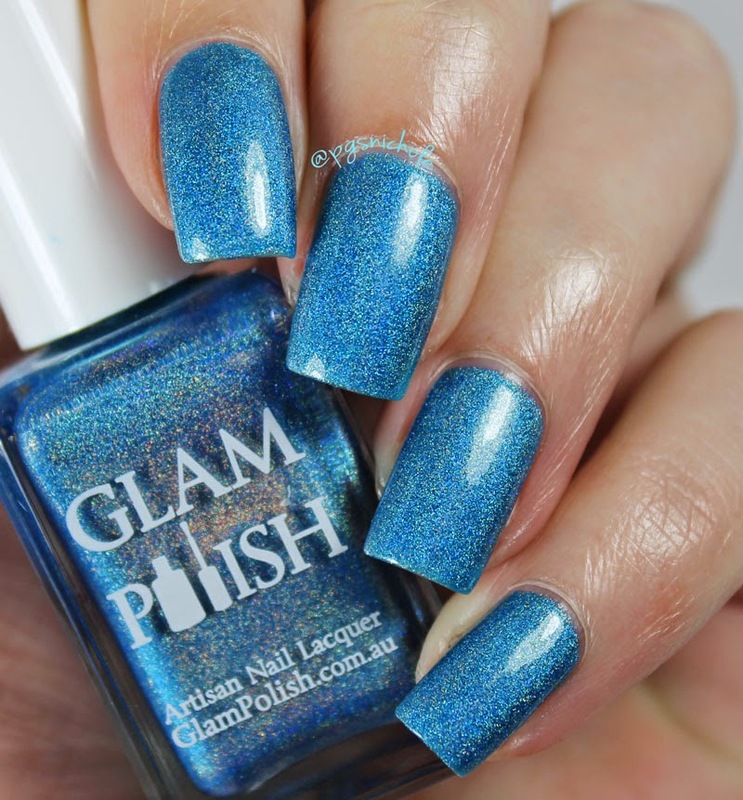 is an electric sky blue superholo, like the sky in a surrealist painting. Salvador Dali would have painted the world in this shade if he had been able. 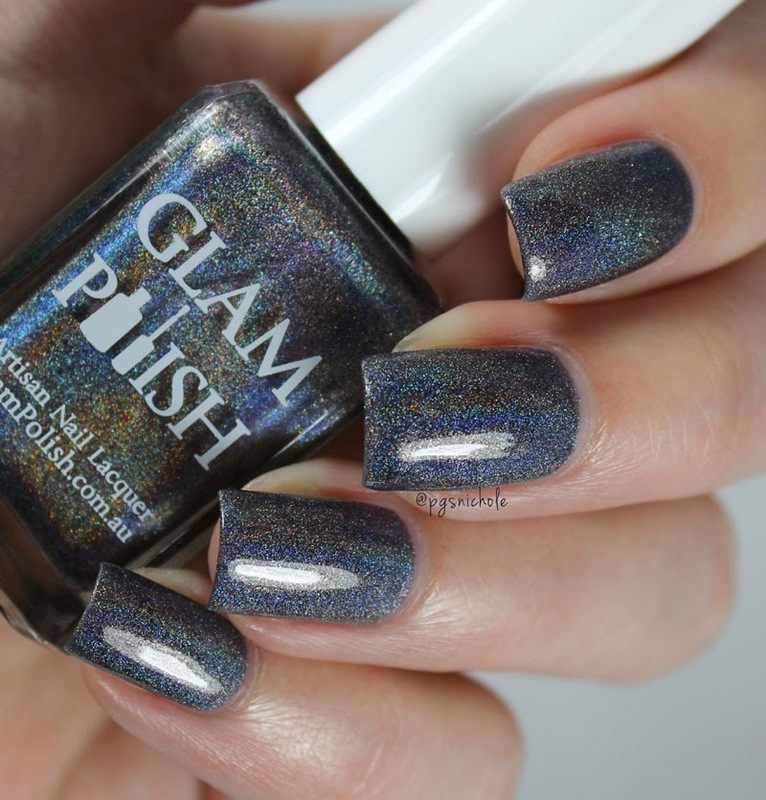 Even without the crazy levels of holo in this shade, the color is still amazing. I used two coats plus their Magic Shine topper, and it glowed like an auqamarine stone. I will be wearing this color a lot in the next month or two as this is a vibrant version of my girls' softball team color. I did have one small problem with this shade: it stained me slightly. Blues generally don't like me to begin with (very few blues/teals don't stain my nails) so I was prepared for a blue nail plate after this...which is why I left this one for last. Surprisingly I only had a tiny line of pale blue around the perimeter of my nail plate, in the spots where I think I missed with my base coat. Next time I wear this I am going to be a) more careful and b) double up that base. I think that would fix the problem, even for me. 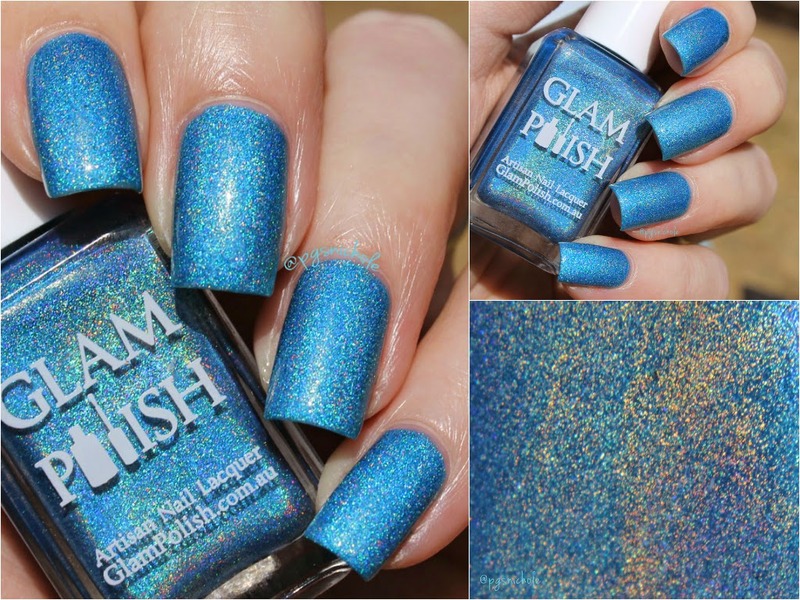 This polish is bright enough and the formula is good enough that I still recommend it, staining or no staining.